If you have ever taught a lesson on the characteristics of reptiles then you have probably found that young elementary students often struggle with the idea of warm-blooded and cold-blooded animals. The term "cold-blooded" is misleading, cold-blooded animals are not always cold! 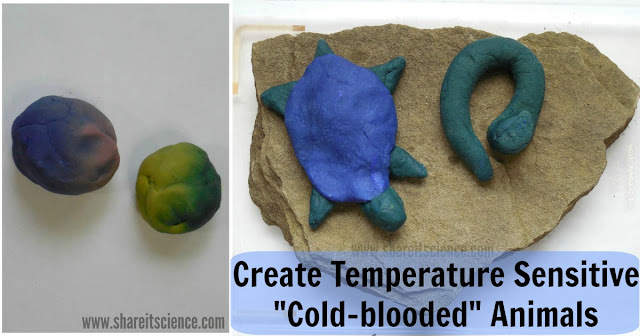 This science activity will help you model the concept of being ectothermic, or cold-blooded, by using temperature sensitive color changing play dough! 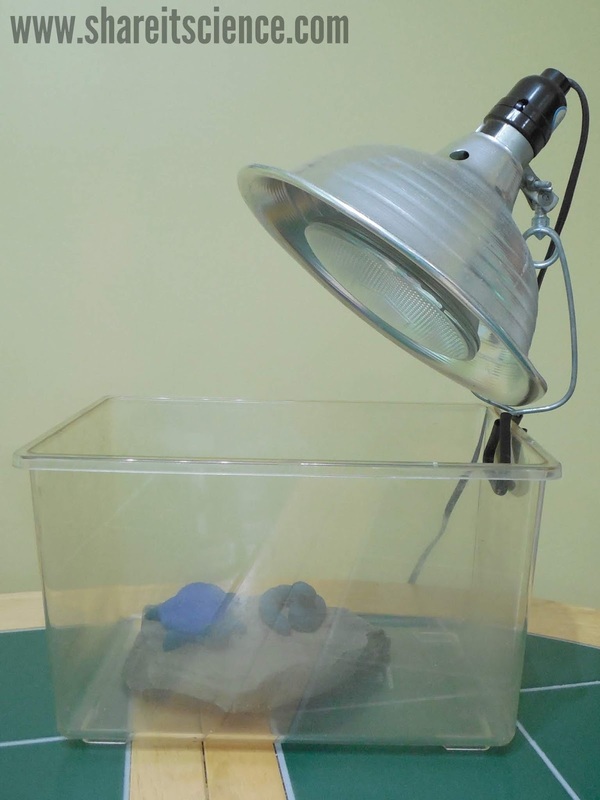 It will help your science students or your kids at home better understand what happens when a turtle, snake or lizard sits in the sun or under a heat lamp. 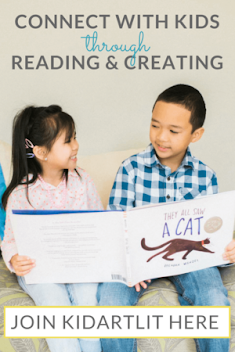 If you are looking to include STEM or STEAM elements in your curriculum, this activity includes art and design, as well as opportunities for including technology. This post contains affiliate links, meaning I will receive a small commission (at no additional cost to you) if you make a purchase after clicking a product link. Please see disclosures for more information. Students often believe that warm-blooded animals are always warm inside and cold-blooded animals are always cold inside. Warm-blooded animals, like mammals and birds, can regulate their own body temperature and maintain a consistent body temperature unless ill. Cold-blooded animals, like reptiles, amphibians and fish have a body temperature that adapts to the ambient temperature. If conditions are cold, the animal will be cold, and likewise if conditions are warm the animal will be warm. Ectotherm (cold-blooded) and Endotherm (warm-blooded) are more accurate terms, but also can be confusing words for young students. The activity below will help model why cold-blooded animals must move locations to adjust their body temperature. 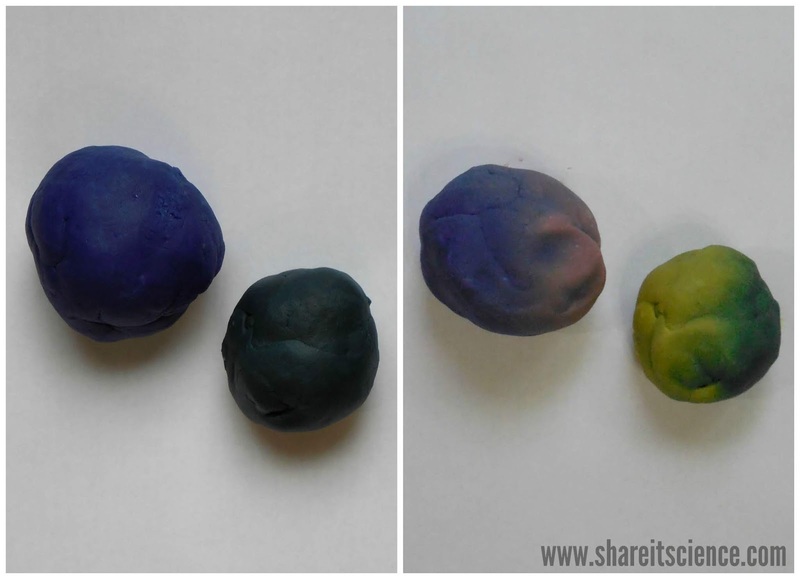 To make our temperature sensitive color changing play dough, I used the recipe found in the STEAM Kids e-book (the print version available on Amazon). The secret sauce to temperature sensitive dough is thermochromic pigment. This pigment powder is the same stuff that causes mood rings to change color and makes the magic happen in other color-change products like nail polish. If you are using the recipe from the STEAM Kids book (which I highly recommend for tons of little projects as well as ideas like this one that can be incorporated into other lessons) you will want to double, or maybe even triple the recipe when working with a large group of children. When the dough is heated, it will change color. 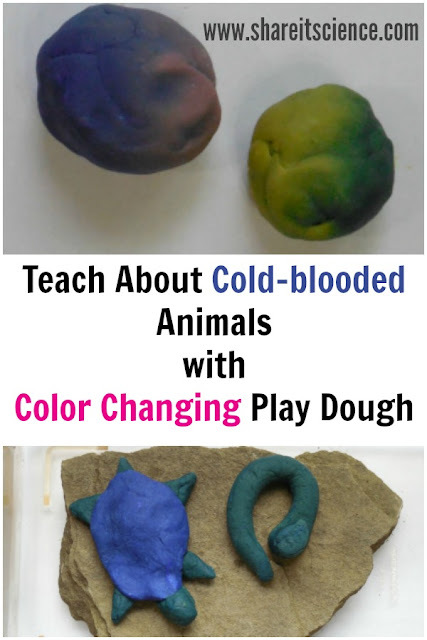 In this experiment, the color change is the indication that the "body temperature" of the dough creature is changing. Experiment with Color Changing Cold-blooded Creatures! 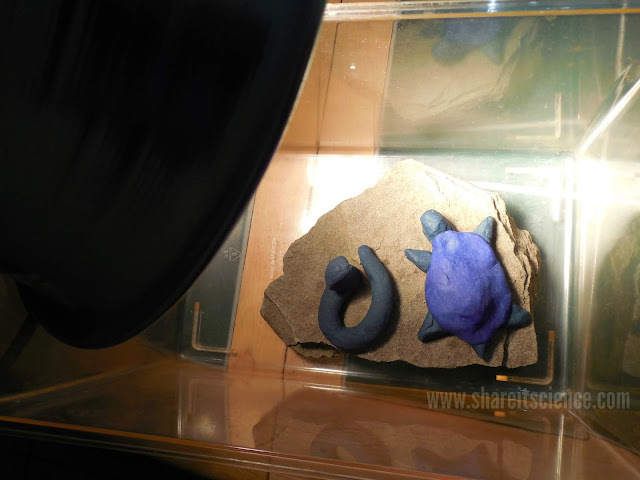 Have students make a hypothesis about the outcome of shining the light on the dough animals. Will they heat up? How long will it take for the animal to change color? Determine how you will run the experiment. How often will you check on the play dough animals? Will you be taking their surface temperature? How will you collect data? 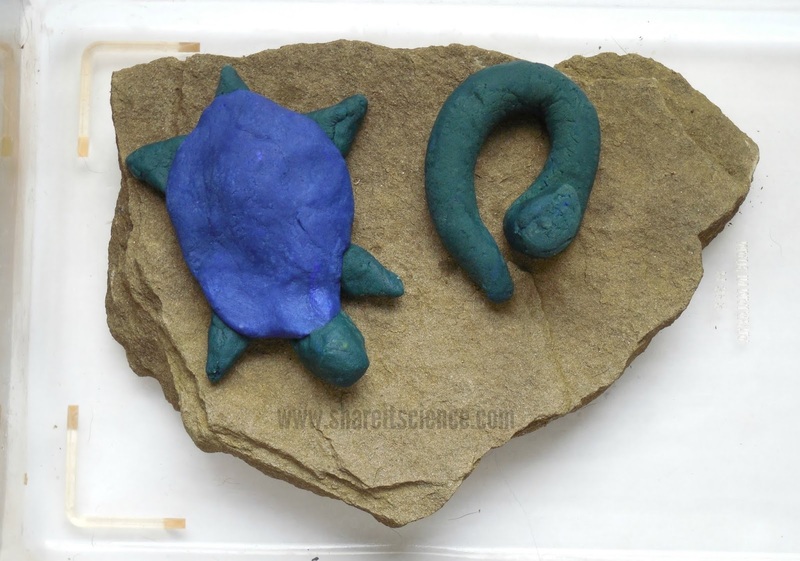 Once the kids have designed and built their their reptiles, amphibians or fish, place them in the terrarium. Be sure everyone is on the same page on how the experiment will be run. Clip the light to the side of the aquarium. Be sure everyone involved understands this lamp will get hot! Use the necessary precautions and adult supervision. We found that in our experimental set-up the color change occurred very quickly when heated, then changed back very slowly when cooled. We decided to make a time-lapse video of the process to capture the changes. This brief video is comprised of many still photos of the changes that took place over several minutes. What was realistic about this model? How hot did the surface of the cold-blooded creatures in the experiment get? Why do cold-blooded animals sun themselves? How do cold-blooded animals survive the winter months in climates with freezing temperatures? PLEASE NOTE: Unfortunately, the sale described below is over, but you'll find lots of great STEAM resources at the STEAM Kids website! I'm so excited to be sharing a bundle of resources that will be invaluable for any one who teaches, runs an after-school program, designs camp programming, provides child care, has children at home, homeschools....just about anyone who works with elementary aged kids and cares about STEAM education. 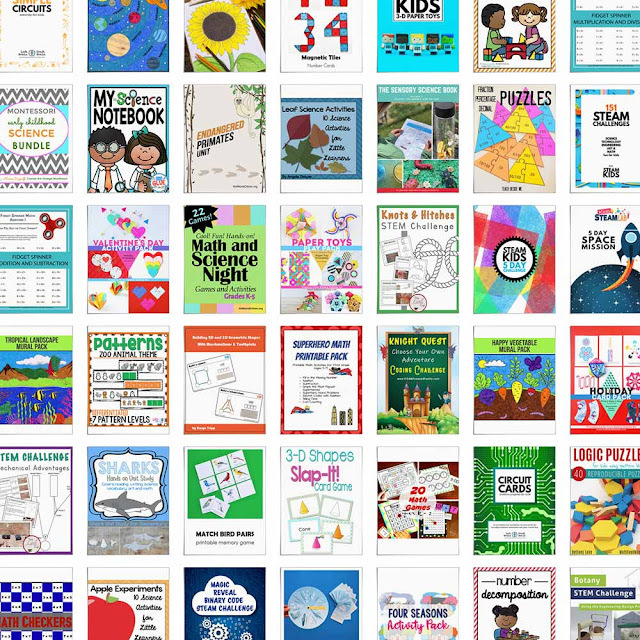 This bundle of 46 digital STEAM resources is from a great group of education writers including the STEAM Kids crew, which you know I'm a big fan of. Others include: Left Brain Craft Brain, STEAM Powered Family, Babble Dabble Do, The STEM Laboratory, Kids STEAM Lab, Vivify STEM, A Dab of Glue Will Do and many more! This post contains affiliate links, meaning I make a small commission if you make a purchase (at no additional cost to you). Please see disclosures for more information. 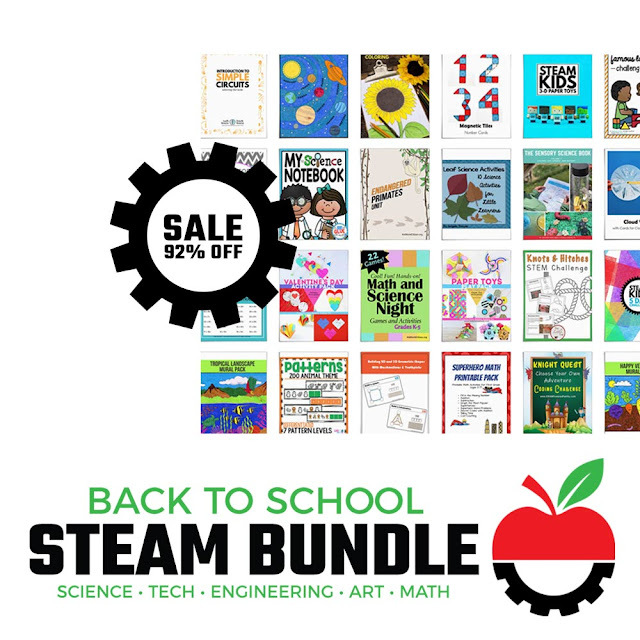 The Back To School STEAM Bundle, is a huge (and I mean HUGE, like over 1,700 pages huge) collection of science, technology, engineering, art and math activities, lessons and challenges being sold at 92% off for a limited time. 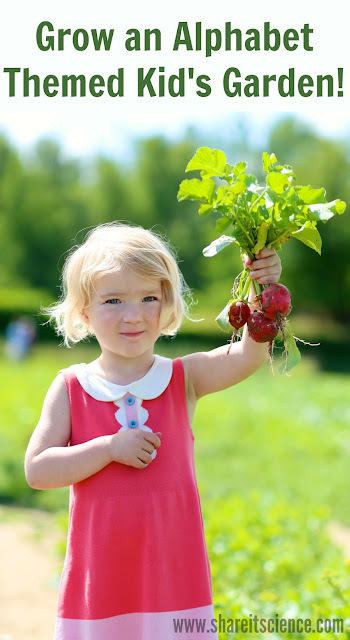 There are so many fabulous resources here (I'll list them below) it is a little mind-blowing. From Wednesday 8/15/2018 - Monday 8/20/2018 you can grab what would normally cost you $268 for only $19.99. Normally, I wouldn't write a post pitching a product like this, but this is an offer I can't imagine passing up knowing the quality of the materials this crew of authors brings to the table. STEM, STEAM, Science Activities and More! Here is what is included, you will quickly see why I am so excited about this!! AND...I didn't even mention the bonuses! You will also get 15 extra printable products and 8 coupons to use in some of your favorite STEAM educator stores. Don't miss out on this one! More details and purchase information here.